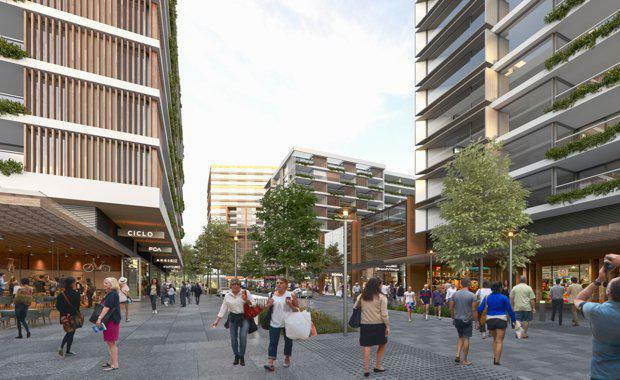 UrbanGrowth NSW today confirmed that a subsidiary of Greenland Australia Investment Pty Ltd has been awarded the tender for two superlots at Lachlan's Line, near North Ryde station, at the gateway to the Macquarie Park employment corridor. The mixed-use superlots are central to the new development, and have potential for more than 800 apartments and a neighbourhood retail precinct. "UrbanGrowth NSW congratulates Greenland on their vision for the Lachlan's Line mixed-use precinct," said UrbanGrowth NSW Chief Executive David Pitchford. "Greenland's design incorporated high quality urban spaces connected with parks, and activated by retail and community facilities. "Greenland Australia is the developer behind Greenland Centre Sydney, a $600m apartment and boutique hotel project on the former Water Board headquarters site in Sydney.